While reimbursements tighten and regulations increase, smart practices are upping their profit game through exacting management practices and comprehensive growth strategies. That doesn’t mean patient care suffers. Quite the opposite. 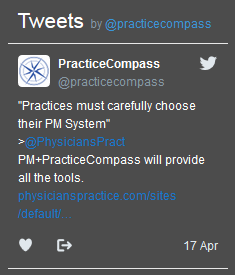 While Practice Compass streamlines the business machine of your practice, you remain on the front lines delivering high quality, compassionate patient care that improves outcomes and builds patient satisfaction and volume. It’s time to build your practice for profit today and a successful exist strategy tomorrow. Let’s build the foundation together. Practice Compass manages the intricate workings of your medical practice for successful revenue cycle management and growth. It’s a full time job to ensure that coding is precise, claims are successful, and billing is timely. It takes seasoned experts with years of experience to make sure that you are being reimbursed exactly what you have contracted for, and it takes staff training to collect patient self-pay. Practice Compass manages the endless number of details it takes to run your practice as a solid, profitable business built for tomorrow’s success. It’s time for you to care for patients, build satisfaction, loyalty and patient volume. We will take care of the day to day business so you can look to the future.